This Place of Worship was founded in the 19th century, though it is now closed, but we don't yet know when. 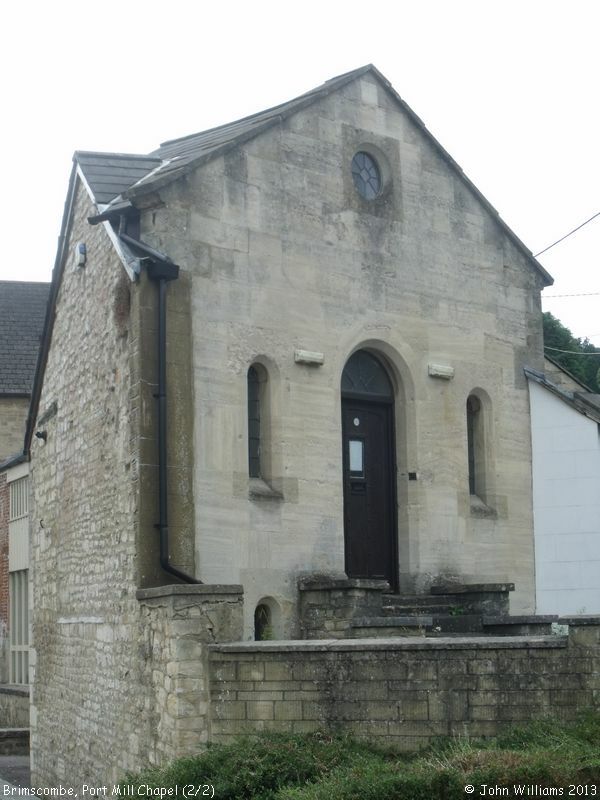 The Mill and Chapel buildings are adjacent to the former Stroud & Gloucester canal and port area. Brimscombe Port was the hub of the Thames and Severn Canal, and played an important part in the industrial development of the area. 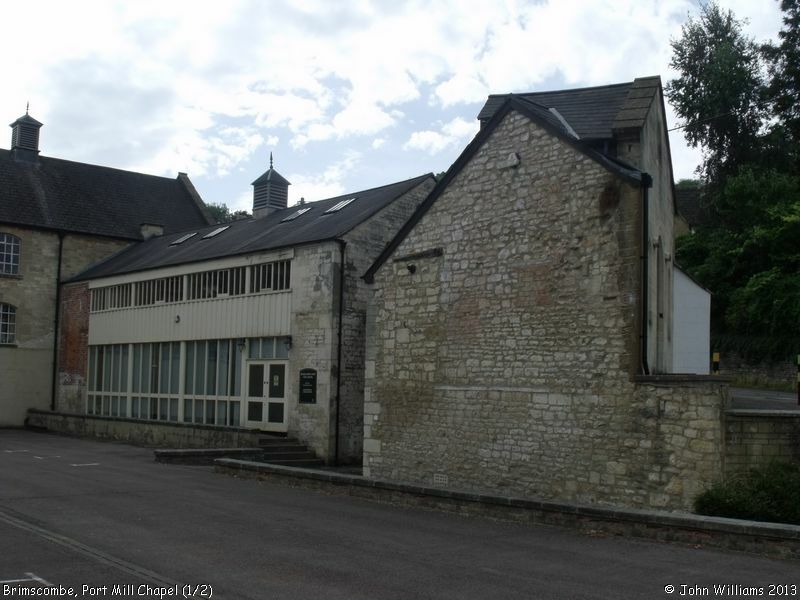 It was a surprise to me that the Mill had a Chapel, but a Case Study on the website of the property development company, the Ashville Group in 2013 described their conversion of "the listed Mill and Chapel buildings" into office space. The consultant architects were Roberts Limbrick Ltd, of Gloucester, and their website (in 2018) retains photographs of the buildings, but the Ashville Group document is no longer available. Further details, and a lengthy History of "Port Mill, a Grade II Listed Building in Stroud, Gloucestershire" may be found on the British Listed Buildings website. Brimscombe Port Mill Chapel, Brimscombe shown on a Google Map. Information last updated on 24 Nov 2018 at 15:27. This Report was created 22 Mar 2019 - 12:31:35 GMT from information held in the Gloucestershire section of the Places of Worship Database. This was last updated on 7 Feb 2019 at 07:45.